Have you already seen the photography exhibition ‘Body Art’ at the Tropenmuseum? It travels through the history and culture of body decorations. Due to popular demand, the acclaimed photography exhibition ‘Body Art’ has returned to the Tropenmuseum. Krijn van Noordwijk and Orlan’s work was first displayed in the museum during 2015, however, if you didn’t get a chance to visit it then, you will be able to do so until August 26th. ‘Body Art’ travels through the history and culture of body decorations, ranging from make up to surgical modifications. 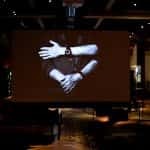 According to the artists behind the exhibition, there are six main reasons that explain why people decorate and adjusts their bodies: quirkiness, feeling of belonging to a group, beauty, personal experiences, ‘show’ sakes and spirituality. All of these categories are independently studied and explored through photographs and videos which give a greater sense and understanding of the meaning and value behind body art. Back in 2015, Newdawn, a Dutch online platform for contemporary photography, held an interview with Noordwijk to get further insight on his work and beliefs on the topic. He mentions that despite all the changes and modifications body art has gone through, nowadays it still has the same purpose it had when it first originated, which is one of individuality. Back in the day, tribes used tattoos to differentiate them from each other and now tattoos are one’s personal statement. Therefore, body art can genuinely be considered an effective yet unconventional way of communication. Without the use of words, a single body modification can tell a lot a bout a person by enhancing particular aspects of their identity, such as: religion, status, experience, background or belief. It is an original way of self-expression and a means to network and integrate with people of similar resemblance and/or mindset. The exhibition surely offers a different perspective towards body modifications that goes beyond the trendy and aesthetically aspects, providing tons of information about the cultural value and origins of this practice. 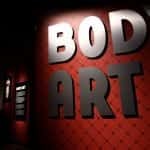 The second edition of “Body Art” arrived to the Tropenmuseum on March 31st, 2017 and will continue to be displayed until August 26th of this year. One of the reasons that lead to body modifications, as analyzed by the artists, is personal experience. In this case, a grandson got his grandfather’s identification number from WWII tattooed on the same spot to honor his time living at the concentration camps. 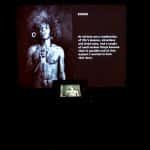 The exhibition also counts with interactive screens through which the visitors can decorate the models photographed by Krijn van Noordwijk with different tattoos and piercings. Each of the reasons presented are analyzed throughout times and culture. Beauty, for example, is not only looked at through trendy and modern make up tutorials but also by showing old footage of ancient asian cosmetic traditions. The exhibition counts with lots of different elements, such as variations in the lighting, customized furniture and nearly-empty rooms, which make the whole experience unique.